Taking quick glides across an ice rink, buckled in skates, carefully shuttling the puck across the rink, players are focused on just one thing… The goal! 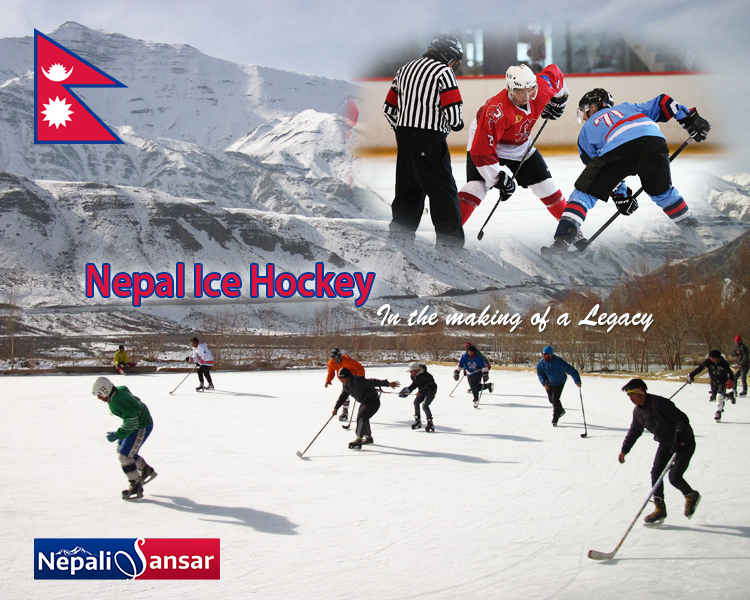 Nepal’s dedication towards sport is not unknown to the world but when it comes to ice hockey, the rush is different! The first national team was formed in the capital of Nepal, Kathmandu in the same year. Currently, the country has no indoor ice rinks but makes use of Lake Tilicho, which is frozen for about half a year, for skating and playing hockey. 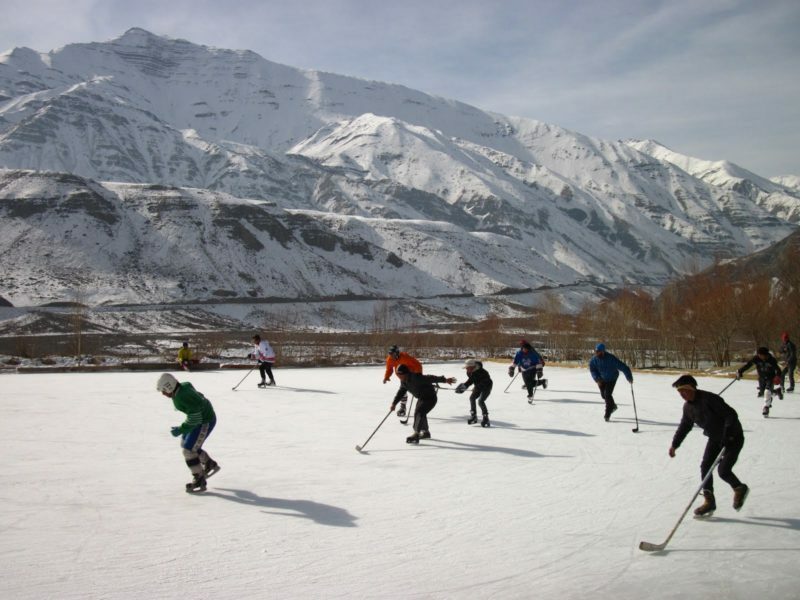 Kathmandu, Pokhara, Ilam and Kavree have four outdoor inline hockey rinks that serve the purpose, additionally. Things took a higher turn for Nepal Ice Hockey when NIHA became an associate member of the International Ice Hockey Federation (IIHF) in 2016. It was a historic moment for Nepal! Nepal Ice Hockey President Lok Bahadur Shahi handed over a Khukuri knife to IIHF President Rene Fasel as a symbolic present. During his visit to the IIHF headquarters at Zurich, the NIHA President told IIHF.com, “With the support of the government and the IIHF, we are looking to build a new chapter in Nepalese sports with ice hockey”. Adding further he said that he hoped the first ice rink could be soon built in the capital Kathmandu for which the land had already been acquired. At the time, ice hockey could be played on natural ice only in winter months. NIHA continues to strive for higher standards of the sport and in its bid to do so, it takes up conducts a number of activities in terms of competitions and matches but more importantly takes up some serious initiatives. The puck in inline skating is made of a much lighter plastic and rests on small nylon nubs to curb friction with the inline rink. The puck for ice hockey is made of vulcanized rubber. While the rest of the game remains almost the same in both types! The game is divided into three 20 min periods, where a face-off between two players initiates the game. Followed by this, the match gets diverted to the teams who have to strive to get the puck to each of their goals. Each team consists of 6 players including the goalie, two defensemen, center and two forwards. In this fast sport, the puck can travel up to 100 mph and since this game is body-bruising players use protective gear. Moreover, there are no substitutions! The national winter sport in Canada, ice hockey is the most popular sport in the country and in other countries like Europe, Nordic countries- Denmark, Finland, Iceland, Norway and Sweden, Russia and the United States. Like Canada, for countries such as Belarus, Croatia, the Czech Republic, Finland, Latvia, Russia, Slovakia and Switzerland, ice hockey is the most popular winter sport. 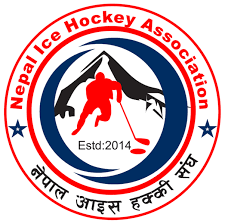 With many initiatives in the pipeline, ice hockey in Nepal will soon bear fruition and if things continue in the same pace, the day will not be very far when the country will have its own Ice Hockey Rink! The women from China’s far northeast, who spent childhood winters whipping around on frozen lakes and rivers, towered menacingly over the other team as they faced off for puck drop. At China’s national ice hockey championships last month, the Harbin squad vanquished contenders from China’s sultry southern city of Guangzhou with a lopsided score of 51-0, with goal-scoring MVP Kong Minghui slapping shot after shot into the net. Harbin women’s ice hockey team taking part in China’s national ice hockey championships in Beijing. Despite their dominance, Kong and her skillful team-mates may not be enough to power China’s national team to medal glory when the country hosts the 2022 Winter Olympics in Beijing. Eager to move up in the medals table, the national hockey team may bend the nation’s rigid single-citizenship rules to recruit overseas talent and beef up their squad. “What we have to do going forward is play in more international tournaments and get more practice playing with top teams,” Kong told AFP. The highly unusual move to seek foreign talent is a sign of how far China is willing to go for success at its home Winter Olympics, a tournament at which it has enjoyed only fleeting success. With a population of nearly 1.4 billion, China is pushing hard to promote ice hockey and other winter sports ahead of the Games after winning just nine medals, including a lone gold, at this year’s edition in Pyeongchang, South Korea. Both China’s men and women hockey teams will compete in the Games, since host countries traditionally earn a spot in the competition regardless of world ranking. The national and local governments have been pouring money into new facilities, equipment and training for players and coaches in the past few years, with the majority of the new ice rinks being built in shopping malls. But it remains to be seen whether Beijing will grant citizenship to foreigners to strengthen their rosters, following in the footsteps of Seoul for the Pyeongchang Olympics. Out of 25 players on the South Korean men’s ice hockey team during the Games, seven were foreign nationals with six coming from Canada, including goalie Matt Dalton. Mark Dreyer, editor of China Sports Insider, said China will likely recruit only foreign players with Chinese roots. “There’s been no official policy saying this, but recruiting policy has been clear throughout tryouts in North America. New recruits must have at least some Chinese ancestry,” Dreyer told AFP. Such a move would allow China to expand its player pool, while encouraging engagement with the Chinese diaspora — something Beijing has been keen to do at all levels. However, China does not currently recognize dual citizenship. 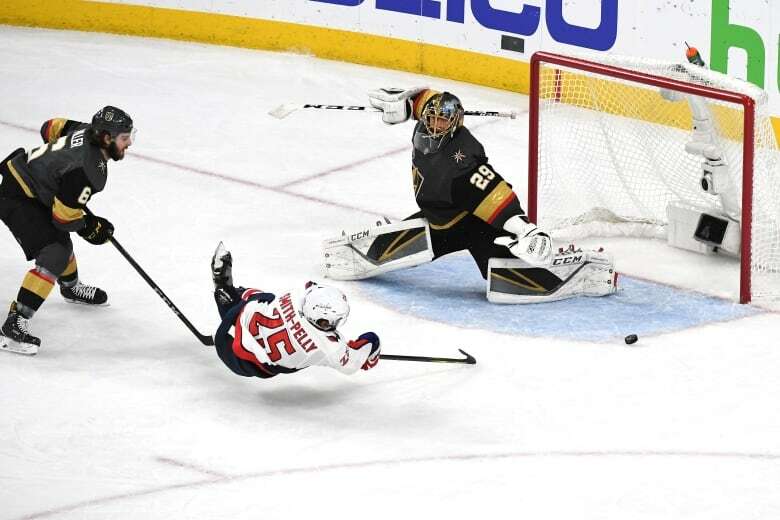 To become a naturalized Chinese citizen, a foreigner would have to give up his or her previous citizenship, making the option undesirable to many foreign hockey players. “Would the players be able to keep their other passports? 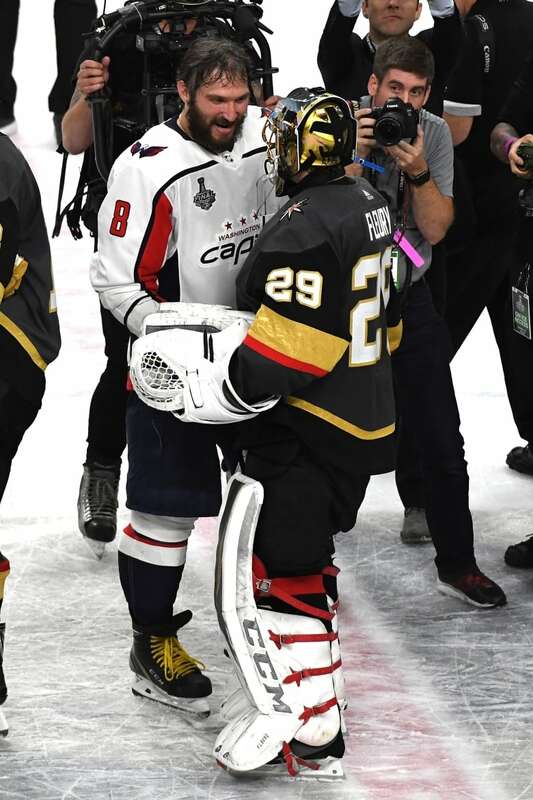 If this does somehow happen in ice hockey– which now seems possible — we would likely see other sports following suit,” Dreyer said. 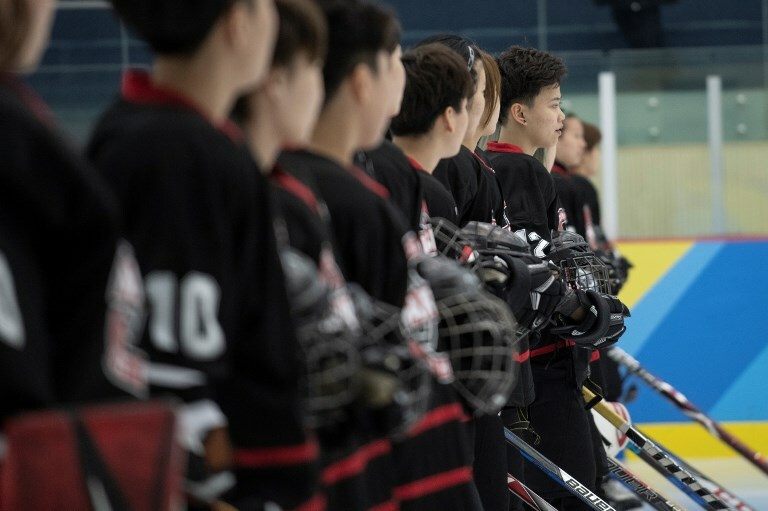 In March, at the Canadian Women’s Hockey League final, China burst onto the international hockey scene with a new squad that was a special mix of Chinese nationals and overseas Chinese. Kunlun Red Star, one of two private teams formed this year to prepare Chinese talent for the 2022 Olympics, has a special mix of Chinese nationals and overseas Chinese for its male and female teams. In May, the Kunlun teams went through a grueling official Olympics training camp alongside foreign players and coaches in the Chinese city of Shenzhen. Participation in Kunlun is optional for China’s national team players, and provides them with more opportunities to play in top world tournaments. “(We) are now choosing the best Chinese and overseas players to cultivate talents for the Chinese women’s hockey team for 2022,” Kunlun manager Zhou Song told AFP. “We assembled 22 outstanding overseas Chinese-origin players. They will have a chance to fight for their country in the future,” Zhou said, notably calling China”their country” despite them being foreigners. Kunlun provides a competitive salary plus bonuses for players, with the help of private sponsors such as Chinese real estate developer Vanke. However well or poorly the Chinese hockey teams perform at the 2022 Games, they are already setting new precedents for sports policy in the country. Supportive family members say the promising performance of female players in particular will also help to improve women’s overall status as professional athletes. “I didn’t want my daughter to play hockey at first. I wanted her to focus on school. But within 30 minutes of being on the ice for the first time, she seemed like she was at home,” said Yang Dong, father of Harbin player Yang Kai Qi. The 2019 NHL draft is shaping up to be as exciting as this year’s, at least at the top of the draft. The hockey world is already salivating over 17-year-old American phenom Jack Hughes after his jaw-dropping performance in leading Team USA to the title at the World Under-17 Hockey Challenge in November. Since then, he has been lighting up scoreboards and generating headlines across the world for his superior skill and skating. Part of a family with deep roots in the game, with both parents playing at a reasonably high level and a pair of brothers who make for great training partners and competitors, Hughes has been preparing for this moment his whole life. After Jim and Ellen Hughes’ eldest son, Quinn Hughes, went No. 7 overall to the Vancouver Canucks on Friday, the spotlight will begin shining more brightly on their middle son. “He has the most pure skill of any player I’ve seen for 2019,” one Western Conference scout said of Jack Hughes. The skill and skating abilities Hughes possesses have been a big reason that his size comes up so much later in the conversation with scouts. Should Hughes go No. 1, he would be the smallest top pick since Patrick Kane was selected in 2007. Hughes was most recently listed at 5-foot-10, 161 pounds. Kane was listed at 5-10, 171 pounds in his draft profile. There’s no doubt Hughes needs to bulk up a bit, but there are a lot of reasons the size factor will be a minimal one come draft day next summer. Hughes’ 16-year-old season is essentially unprecedented for an American player. At USA Hockey’s National Team Development Program, he put up 116 points — just one point shy of Auston Matthews‘ program record. The big difference is Matthews did it when he was a year older. The previous high-water mark for a U17 player at the NTDP was 82 points set by Phil Kessel and Clayton Keller. That’s a 34-point difference from what Hughes did. Last I checked, both of those guys are pretty good NHL players. Looking back through the years, there just haven’t been that many American teenagers who have had a season this astonishing from a production standpoint this young at a level this high. For reference, Mike Modano, the second American to go No. 1 overall, had 62 points in 70 games in his first WHL season at 16, and that was in 1987. Kane, at the same age at the NTDP, had 70 points in 63 games, but 40 of those contests were in the North American Hockey League, a Tier II Junior A league in the United States. Hughes appeared in 27 games in the Tier I USHL this season and spent half the season playing up with the U.S. national U18 team in the USHL, against colleges and U18 international teams. To find recent, closer comparables to what Hughes did this season, the U17 OHL seasons of Connor McDavid (99 points in 56 games) and Steven Stamkos (92 points in 63 games) might be good starting points. Even more jaw-dropping, among U17 players who appeared in at least 20 games in the USHL’s long history, none averaged better than 1.45 points per game. This year’s No. 2 pick, Andrei Svechnikov, averaged 1.21 points per game in 48 games vs. the USHL in 2016-17. Matthews averaged one point per game in 20 USHL appearances as a U17. This league is traditionally difficult to score in, and Hughes obliterated it as a 16-year-old. The Orlando-born forward also led two major international tournaments in scoring this year. He had 15 points in six games as the U.S. won the World U-17 Hockey Challenge, a tournament that boasts many of the NHL’s top players as alumni. Only Colin White, an Ottawa Senators first-rounder, had more points than Hughes in that tournament’s history. Some guy named Ilya Kovalchuk ranks third behind Hughes. Then he closed out his season with 12 points in seven games at the IIHF World Men’s U18 Championship, becoming the first under-ager to lead that tournament in scoring since 15-year-old McDavid did it in 2013. Hughes is expected to return to the national team development program next season despite overtures from the Ontario Hockey League and flirtation with accelerating his schooling to attend college a year early, a la Noah Hanifin and Zach Werenski. No player has gone directly from the NTDP to the NHL, but Hughes will probably have a chance at becoming the first. Each of the past four Americans selected first overall in the NHL draft — Rick DiPietro, Erik Johnson, Kane and Matthews — each played at the NTDP for two seasons before going on to college, junior or pro. Hughes will be part of a team many scouts consider one of the best the NTDP has ever produced, which is really saying something given that program’s star-studded alumni roll. There could be as many as six or seven first-round picks off of that team in 2019. John Wroblewski, head coach of the team featuring most of the top Americans from the 2001 birth year, noted that having so many high-caliber players has created excellent competition in practices on top of the advanced competition the team plays throughout its season. So what has Wroblewski noticed as a separating factor for one of his prized pupils? As the game continues to speed up, Hughes looks built for that brand of hockey. He will be scrutinized like all top picks are. He’ll have some competition along the way, perhaps even from some of his own NTDP teammates. But based on what we saw this season, considering the lack of precedent for what Hughes accomplished, it appears the next great American star has arrived. 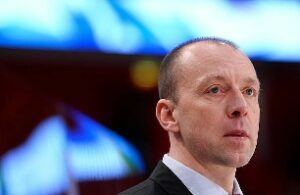 The Polish Ice Hockey Association (PZHL) has signed a two-year contract with Tomek Valtonen as new head coach of the Polish men’s national team. 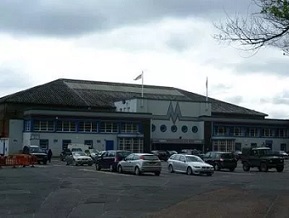 The signing comes one month after the decision to part ways with the former duo of Ted Nolan and Tom Coolen following the relegation to the third tier of the IIHF Ice Hockey World Championship. The 37-year-old was born in Piotrkow Trybunalski, Poland, to a Polish mother and a Finnish father but didn’t have touchpoints with Polish ice hockey until now. The family moved to Kitee in eastern Finland when he was four. 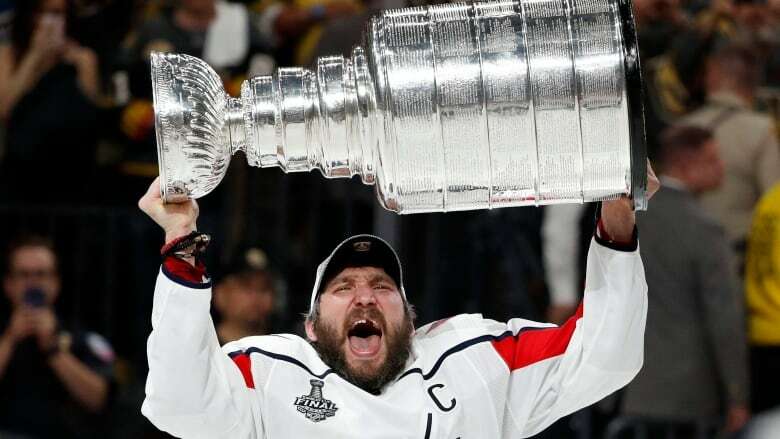 There he became an ice hockey player and also played nine years pesapallo, a Finnish sport similar to baseball, where he won three junior championships before focusing on ice hockey. After starting to play in Kitee, he later played his junior hockey at Joensuu and Ilves Tampere where he had his professional debut. He played three IIHF World Junior Championships for Finland winning gold in his first participation in 1998 and was drafted in the second round by the Detroit Red Wings the same year. He left to practise with the Red Wings and spent one year of junior hockey with the OHL’s Plymouth Whalers before continuing his professional career with Jokerit Helsinki in Finland where he won one championship in 2002 and retired as a 28-year-old in 2009 due to a shoulder injury and moved into coaching. Valtonen worked his way up in Jokerit Helsinki and moved to the senior team first as an assistant coach in 2012 and the later part 2013/2014 season as head coach. At the 2013 IIHF World Junior Championship in Ufa, Russia, he also had a brief return to international ice hockey as assistant coach of the Finnish U20 national team. The last four years he was the head coach of Vaasan Sport in the Finnish Liiga before the decision to part ways in March. Now Tomek Valtonen, introduced under his more formal Polish name Tomasz Valtonen by the association, returns to his motherland and gave his first interviews in Polish. He was presented to the press in Nowy Targ close to the Tatra mountains and the border with Slovakia both as head coach of club team Podhale Nowy Targ and of the Polish national team. In Nowy Targ he will be assisted by Marko Ronkko, who worked with him at the Jokerit Helsinki U20 team. The coaching staff of the national team has not been named yet although Valtonen mentioned new Automatyka Gdansk coach Marek Zietara as a candidate. One year ago Ted Nolan was introduced in the Polish capital in splendid fashion and with the goal to get back to the top level. This year things are different with a news release of three sentences and a press conference organized by the local club team in Nowy Targ’s city hall. The Polish Ice Hockey Association had a big financial loss that ended with a change of leadership in spring with Piotr Demianczuk as new President and a possible legal aftermath. Few weeks later the association also suffered losses on the ice. 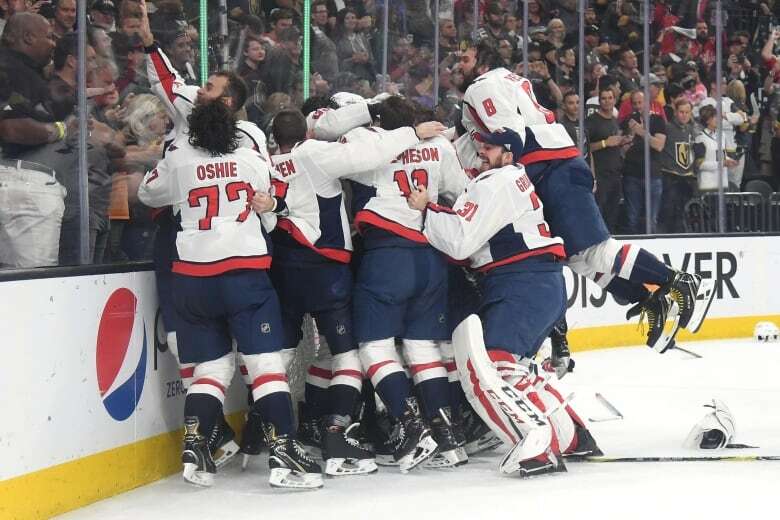 After narrowly missing out on promotion to the top division in 2015 and 2016, the team was last in the 2018 IIHF Ice Hockey World Championship Division I Group A in Hungary and was relegated to the third tier of world hockey. Having a young coach from the top level in Finland move to Poland and working there for two organizations was an ideal solution for the national team also considering the financial situation. He was selected among several applicants by the PZHL board. “He has a good CV. Tomek is willing to co-operate. He followed us, he knows a lot about us. He’s a coach of the young generation who has willingness, plans and ambitions. The Finnish association also praised him very much,” PZHL Vice President Miroslaw Minkina told Polsat. His first tournament will be the Euro Ice Hockey Challenge tournament on home ice 9-11 November. The PZLH managed to get strong opponents to celebrate the 100-year anniversary of Poland restoring independence with the Independence Day on 11 November as Denmark, Norway and Austria will come to play at a Polish venue to be determined. 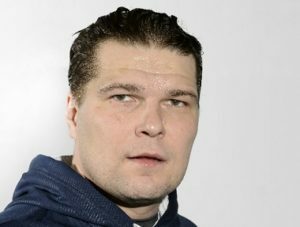 “I’m aware what hockey in Poland looks like, it absolutely doesn’t frighten me. I know what to expect and I know that I can help,” Valtonen told hokej.net and looks forward to his two assignments in Poland. Valtonen saw three games of the national team at the 2018 IIHF Ice Hockey World Championship Division I Group A live. “I can say with all confidence that the results were worse than the game. The players have skill but they were not a team,” he said and hopes to bring a positive influence to Poland with his demand to reduce the number of import players from ten to six but also hopes that with his Finnish connection and exchange he can help educate Polish coaches. The goal for the season will be to return to the Division I Group A. Poland will play the 2019 IIHF Ice Hockey World Championship Division I Group B in Tallinn, 28 April to 4 May 2019, against Japan, host Estonia, Ukraine, Romania and the Netherlands.